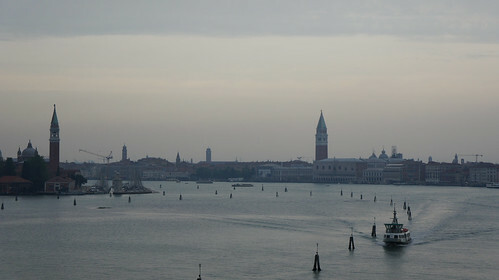 It’s a gray, hazy morning as the ship crawls back into Venice, carefully easing westward through the Canale di San Marco. 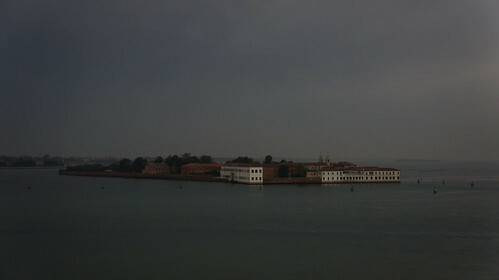 We watch San Giorgio and Giudecca slide past our balcony, then walk over to the opposite promenade to see the Doge’s Palace and San Marco. By 10AM we clear out of our stateroom and sit down in the garishly decorated nightclub lounge to wait for our disembarkation ticket color to be called. There’s a bit of a delay, but soon we’re off the ship, crossing a gangway, and going down a telescoping stairwell into the cruise terminal where our bags are waiting. That’s when I remember that my swiss knife is still in the confiscation bin on the ship, so I have to go back up the stairs and across the gangway to the promenade to claim it from security. Then, back down to the terminal, and heft our bags to the People Mover to get on the ATVO bus from Piazzale Roma to Venice Marco Polo Airport. 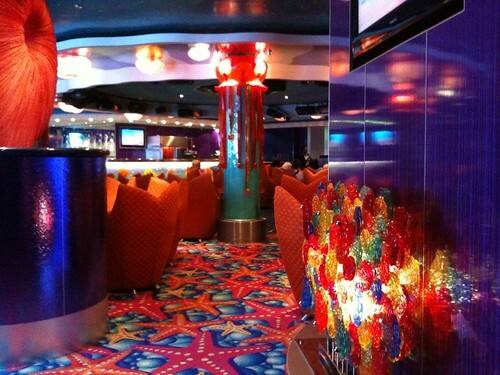 As with all NCL cruises, a fixed gratuity per day is added to the bill. I like this as it alleviates tipping pressure. The staff and service are all wonderful, and I had great fun conversing with various Filipino crewmembers. While I do enjoy the cruise experience, one day at port is definitely not enough to enjoy each stop in full. I hate to be one of those touristy day-trippers who hits a place, takes a few photos, then leaves without partaking of any true local essence, but at the same time I also want to see Ephesus and the Parthenon and Diocletian’s Palace and I only have a week to do it. 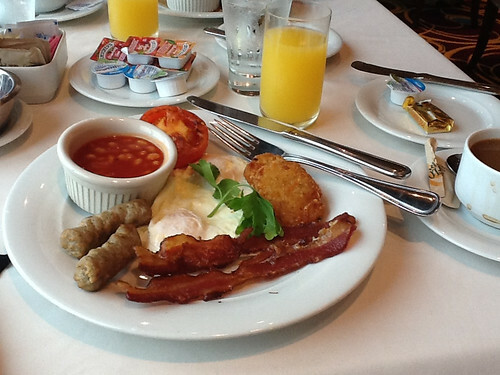 So I try to think of a cruise as more of a “tasting menu” of destinations — with the added convenience of a hotel room that travels with you, bringing complimentary food and sundeck along for the ride. Places I like, I’ll return to for longer, more meaningful stays in a non-cruise setting. The balcony cabin is an excellent choice for a pair of introverts like us. We’re not much for dancing, drinking, parties, gambling, or stage shows; but we can lean on a railing and look at the sea for hours. A far-forward balcony cabin is also good for avoiding cigarette smoke that wafts back from other balconies while the ship is moving. The balcony sliding door whistles in the wind if you don’t close it just so. It helps to slide it with some extra momentum to a soft slam so it seals properly against the outside air. 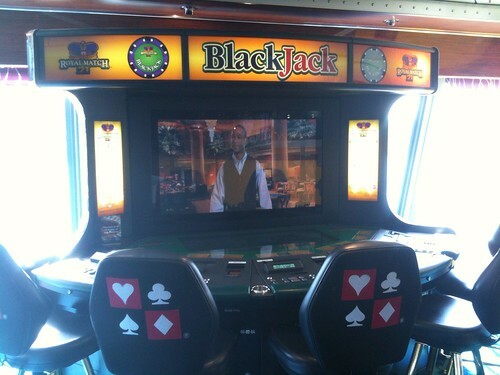 Oh yeah, don’t miss the ROBOT VIDEO BLACKJACK DEALER who looks randomly around the Spinnaker Lounge and calls people over for electronic blackjack. 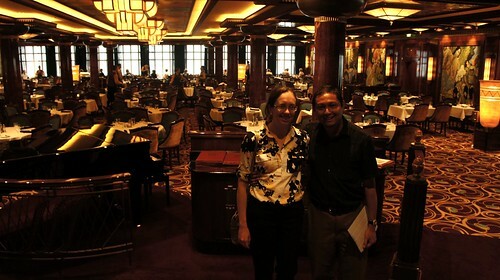 This was our second cruise, and a much longer one than the first cruise we took to the Bahamas on Norwegian Sky. NCL exceeded all my expectations for service, and we had a good time without spending too much, by sticking to complimentary meal offerings, not ordering wine or sodas, not gambling, and sightseeing on our own rather than booking the cruise line’s shore excursions. We got to launch from Venice to see a bunch of historic landmarks, eat some excellent food, and even win a bottle of sparkling wine. And someday maybe we’ll go back to Athens and Ephesus and Dubrovnik and Split and stay a bit longer. Full photo collection from our trip on Flickr.